This is a guest post by Marin Ívan PhD, expert in the field of eco-technologies from Islandia Geomatics. If you want to guest post on this blog, check out the guidelines here. 10 years ago, having a mobile phone was a must, a need and a fashion. Mobile communication took life as we knew it and threw it in a whole different direction. I am sure you will never forget your first call on your mobile phone. Remember the thrill of walking the streets while talking to your mom? The mobile phones from the time had the essential functions we needed, they let us call and send text messages and this was more than enough! 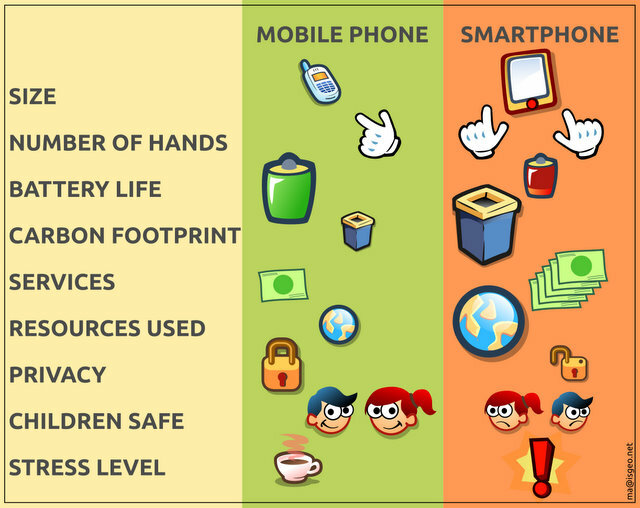 10 years later, with the growing invasion of Internet, Internet enabled devices, Internet connections and Wi-Fi, we are no longer satisfied with a simple mobile phone. We need something special, sleek and smart... yes, I am talking about the smartphone. So, basically, the smartphone is the mobile phone we had 10 years ago with added functionality and a bigger screen. But do we actually need this? Wi-Fi: Most of the present day smartphones have Wi-Fi and can connect to the Internet using a wireless network offered by hotspots (this service is sometimes free but mostly not). But how often do you actually browse the web on your smartphone and how comfortable is it for you? Can you do it in the broad daylight? Do you use it as if you were on the computer or just for emergencies? GPS: You have seen the commercials emphasizing on the GPS function of a smartphone. But let me ask you something, how many of your friends use it? Have you heard them talking about global positioning system and location? Do they know they have a GPS in their phone? In an emergency situation can you send your GPS coordinates with an sms fast and easy? In fact, you can't, simply because no Android or iPhone or Windows Mobile Phone offers this function. Calendar: When was the last time you synched your calendar with the one on your computer? 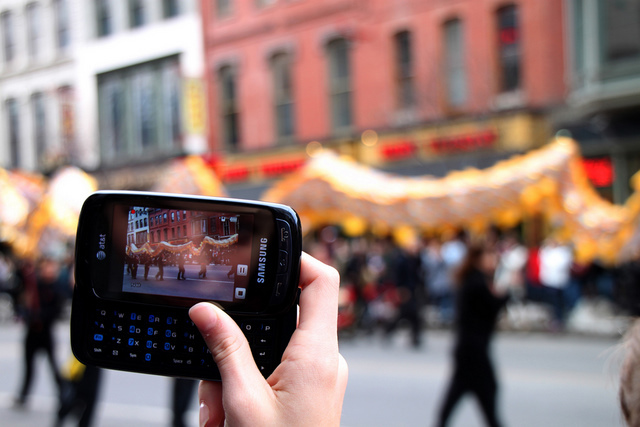 Touchscreen: 10 years ago we could operate the phone single-handedly. The sleek touch screen robbed us of this pleasure. Just try and make a call with one hand! The smartphone is undoubtedtly a fashion icon and as such it successfully incorporates lots of services that many people would like to have. But let’s be honest, we need the phone to make phone calls, it is as simple as that! The smartphones consist of a lot of rare and expensive materials and elements which are not present in ordinary phones. They are expensive and increase pollution – it takes more resources to produce them, they need bigger and stronger batteries and most importantly, they are … aluminium. And to produce aluminium you use lots of energy. It doesn’t sound very hopeful in an energy hungry world, right? We are struggling to find resources to produce energy and on top of that we need more energy to make aluminium for mobile phones which we don't actually need. Have you thought what it takes to produce energy? You either need nuclear power plants or hydro power plants. These are the two main sources of energy production and both of them destroy the environment in the long term. In the global economic crisis we are going through, with prices always growing, owning a smartphone is reversely correlating to the global trend of reducing. We have to reduce not only our expenditures, or the water waste, we need to reduce our use of technology. 10 years ago, when I had a simple mobile phone, apart from writing software for mobile phones I was also a heavy mobile internet user. Unlike my friends who didn’t really believe one could have Internet on their phone, I have been using Internet ever since the first Internet enabled phone until last summer, when I bought a smartphone but had to return it simply because it didn’t match my expectations. I came to the conclusion that I’d better relax, listen to my thoughts and have the occasional phone call or message. I prematurely freed myself of a lot of stress in a world already full of stress. I decided I didn’t need to check my Facebook account, my email and my twitter, just because I had access to them. I officially refused to always be present in all forms of social networks through my phone. And most importantly, I asked myself the question: If Internet is all around us and we all have laptops, do we really need another device that costs a laptop, does much less and helps diminishing the planet’s resources? I love this post! I have debating on just kicking my smart phone for a basic phone. Just think of the money and time we could save! I don't have a smartphone because I'm around a computer 80% of the time anyway. I feel like having the web on my phone would be redundant. Oh I have been resisting the temptation to get one let me tell you. But I know I don't need it and it would just be me wasting more time on the internet and more money on all those apps I hear about LOL! I, too, waited for my old phone to finally die before getting a smart phone because of the same reasons you talked about in this post. Power to you, it's hard not to get a smart phone because there very few normal phones left. My prediction, is that in five or so years, they'll be gone completely because phone companies make so much more on smartphones. But we'll see what happens. I have a smartphone and it's a love/hate relationship! Do I need it? It depends on which part of the relationship I'm in at that moment! I purchased a smart phone for my son. He so wants to keep up with his peers! Found your link to your blog on the Handemadelogy forum, and I now am a new follower! I hope you will follow me as well! Hmm, interesting post. I am guilty of owning a smartphone. The GPS is one of the most useful tools for me since I go with my bf or friends to new restaurants and places often. I do find it helpful in many ways since I don't own a laptop. I'm with you on this topic. I'm online so much when I'm at home, that when I'm out, I just need basic functionality. If I'm out in public, I need to socialize, not look at a screen! The phone I have is simple and for the convenience of me keeping in touch with my husband and kids. Anything more important can wait!! I think all that constant connectedness definitely takes away from enjoying and focusing on what is going on around someone, too. Oh no. Now I feel really bad! I am a gadget addict and I'm always getting the latest. I love my iPhone most of all. I especially loved it the day I locked my keys in my car while it was still running (woops!) and I didn't have my BCAA card on me, so I didn't know the number to call. iPhone came to the rescue that day. Although, I suppose I could have walked across the street to The Spaghetti Factory and used their phone. But it felt weird to leave my idling car unattended. Haha. Good post though - definitely food for thought when I eventually get that itch to get the new iPhone 4. It sickens me to see where society is going. We do not think for ourselves anymore, we ask others and devices to do the thinking for us. Most of us do not go more than 2 hours without having access to a computer yet were told through catchy marketing schemes that we need smartphones. Lets stop and think about the difference between a need and a want for a second. There are only 4 needs in this world: food, shelter, water and clothing. Everything else is a want and that is why many poorer countries are described as being happier than North Americans. Smartphones are a want which has been cleverly marketed into a need by people like Steve Jobs. 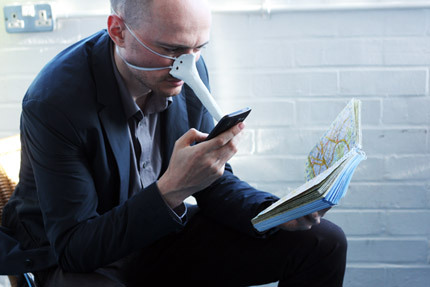 It sickens me to see how addicted people have become to these devices and how its begun to erode the natural fibres of what it means to be human. People are attached to their jobs and work which has made them miserable as ever. As a society we need to stop listening to others and think for ourselves. Spending absorbent amounts of money on smartphones takes time away from other things in life and destroys the natural interaction humans need to have between each other to mature and develop independant thoughts. I totally agree that they're mostly useless. My hubby wants to upgrade but I only see it as more money and time wasted. While others have argued how they are helpful, most usage I see is for frivoulous activities, not the truly helpful applications! I am currently in this conundrum. My old phone looks like a brick from the 1980s. I already spend too much time wasting on the internet. I have grown up and away from social networking and yet I feel I need a smartphone or I will be left behind. fifi, it is a tough decision, I know. I believe you should consider what you will gain and what you will lose before you take it. If you think that you are already wasting too much time on the Internet, then why do you need it on your phone too? I would recommend to anyone to use the time in public transport to reflect on their day, thoughts and dreams, instead of surfing the net, it helps you connect to your inner self and make you a more sane person. I just found your blog today-- through Deb's Dandelion House. Before hitting the blogs...I was just looking at updating our phones. I have strong convictions about having a phone --for the purpose of having a phone. The Husband wants to get 'smart-phones' I call them...dumb-down devices...LOL. I've always believed that we relinquish our God given rights as humans when we put so much dependency on a device. Anyway-- thanks to this article, I'm sticking to my decision. I'll just get a new phone...basic phone. 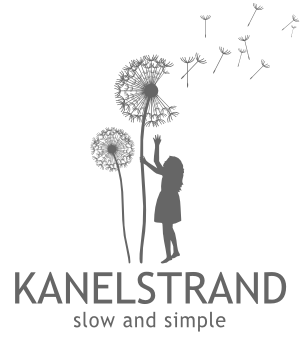 Hi Pat, Welcome to the Kanelstrand blog! The smart phone thing has been in our conversations at home far too long but finally we both decided it was plain useless. I'd rather get some Internet-free time and connect with nature when I am out than extending my online presence even while I'm walking! I congratulate you on your simple-phone decision! If a phone makes me look away from the people I'm with at the moment, I'd stay away from it (I don't mean a plain text message or a call, of course), just like you did! Congratulations on winning the battle. I know how you feel because I too was there. But really, I'm not buying the mass brainwash anymore. I am just happy that we still can make our own choices. And you are so right about the dumb/smart phone debate. Once you know your priorities things get so much clearer! I agree with Sonya. Glad to see there are others out there who don't want a smartphone for the same reasons. I work a college campus in and drive a work van around. There are many students that will walk right out in front of my vehicle with out looking up for traffic. If I knew how I would rig something up to send their screen a message to "look up, car coming"
Sorry for the 3rd attempt. I am trying to get blog writing figured out. I think I have it now. Thanks for stopping by. You made me laugh, I guess some time in the future we will actually have those screen messages but I wonder what we, the non-smartphone-people are going to do then. I live in a quiet area of a small town, so I don't have the opportunity to see this but I guess life everywhere is the same now. It was the Walkman before, now it's the smartphone. People like to ride the trend wave! I still own a dumb phone. Smart phones look fun and once in awhile I wish I had one to access specific web sites--when traveling, for example--but that is the exception. Figure I spend enough time online with my desktop. If I had money burning a hole in my pocket I'd like to try a smart phone; however having just dumped Cable TV and some other items in order to save money, it doesn't make sense for me to buy a more expensive phone plus a data pack. My phone is 5 years old. I do not text, the screen is about 1.5 inches by 1.5 inches. I am middle age now, and the durn thing is just too hard to see! I love hearing my sister's voices (they all text each other, how sad). I use an old fashioned calender - yes, they are still being made!